Mrs. M.L.K.H. Perera is the leader of the Seeduwa Centre of Negombo branch of Bimputh Finance PLC. She was at the point of closing down her Ice Cream Business due to the lack of working capital when she came to hear about BImputh’s Micro Finance Program. She visited one of our centers and after carefully reviewing her business, the team was confident that her business could be revived as she demonstrated the dedication, willingness and positive attitude necessary for success. The granted her the first loan of Rs. 25,000. Mrs. Perera’s business grew extremely fast and within a short period of 14 months, she was already on her third loan, having repaid the first two loans well before their due dates. 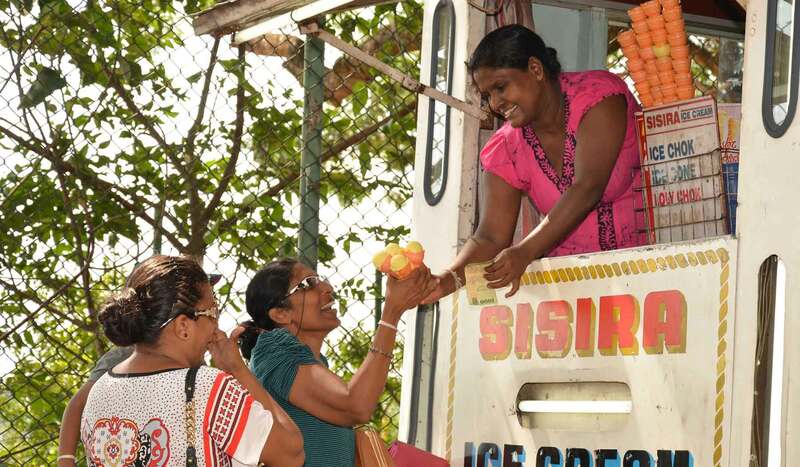 Mrs. Perera is now the proud owner of a thriving Ice Cream business employing eight other women and owning three vehicles for the distribution of a products. She never imagined that her business which was almost bankrupt, could grow so quickly and attributes her success in larger to the timely financial support and technical advice given by the Bimputh Team. My name is L. M. Priyadarshane, a member of the Mangalaramaya Center attached to Negombo Branch of Bimputh Finance. I was making a hand to mouth living with the meager income earned by tailoring garments for my neighbors, when I came to hear about the Bimputh MicroFinance programme. I was able to convince the Bimputh finance officers who interviewed me that I was quite capable of improving my tailoring business if the financial support necessary was given to purchase the required inputs. I were then given the 1st loan as Rs. 25,000.00by BF without any hassle whichwas utilized with the guidance of the Bimputh Officers who were knowledgeable and extremely friendly and helpful. There was no turning back, My business grew fast and I am now on my 3rd loan of 75000 after having repaid the first 2 loan of 25,000 and 50,000 well before the due dates.Bimputh has transformed me into a proud owner of a garment business providing employment for several others from a hapless house wife, within a short period of time.My living standards and education of my children have improved substantially since. My success is entirely due to the timely financial support given by BF and the guidance and advice received from BF officers. Starting with the first loan of 25,000.00 she has invested the loan funds wisely to be a proud owner of several swing machines including Overlock machine with in a short period of time. In addition Mihiri obtained the Bimputh “Poorna Niwasi” Loan and completed the construction of her house. “Poorna Niwasi” loan scheme provided not only financial support but also technical advice. 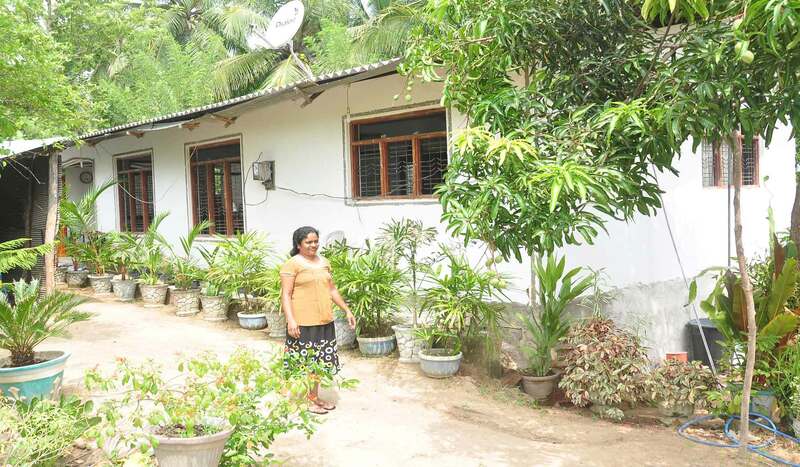 The newly completed house with the well laid out garden by then “Deweni Palama” along Diviyagala road, is where Mihiri lives now.